Prime level wooded home site off Ludgate served with gravel private road/driveway. Excellent established neighborhood. Offsite septic easements behind this lot currently provide for 5+ acres of buffer for more privacy. Only 18 minutes country drive to downtown Greensboro; to Elon, Gibsonville, Burlington & Hwys to Chapel Hill & Raleigh. 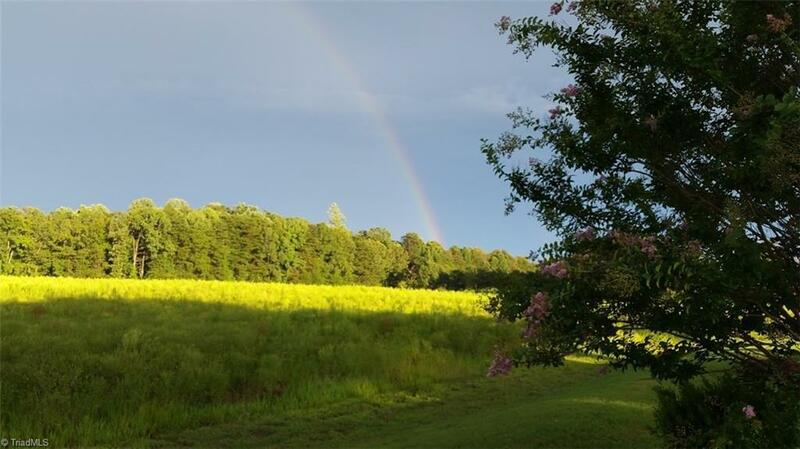 Owner/Broker.Lot 36 has particularly beautiful horizon views for sunsets and no formal Homeowners Assn. or dues! Must see, Call for assistance. You will be glad you did. Sold by White Realty Services,Inc. Listing information © 2019 Triad MLS, Inc. All rights reserved. Listing provided courtesy of White Realty Services,Inc. Information deemed reliable but not guaranteed.